An activist who played a leading role in top black community campaigns he helped put in the headlines has died after suffering a stroke. Simon de Banya was campaign co-ordinator of the Justice for Stephen Lawrence campaign in the year leading up to the groundbreaking Macpherson public inquiry of 1998, which was highly critical of the police investigation into the murder of the Black teenager five years earlier. He also helped other families of victims of racism and organised a star-studded event to raise funds for 10-year-old leukaemia suffer Daniel De-Gale who became a household name in the Black community. De Banya complained to his partner, Annmarie Shadie of a head and ear ache on Sunday, December 22, at their south London home, before falling unconscious and being taken to St George’s Hospital, Tooting, where he was put on a life support machine. A week later he died, aged 53. De Banya, the son of a Sierra Leonean couple, grew up with white foster parents in Kent. He established contact with his birth mother and family in Sierra Leone later in life. Grover said de Banya was a keep-fit enthusiast and they both played badminton together. But he remembered that DeBanya had been forced to take three months off after suffering an infection. 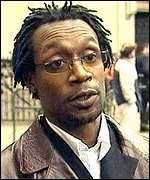 Prior to his two-year stint with the Stephen Lawrence campaign, de Banya worked for several years at the homeless person's unit at Haringey housing services, in north London. After the Stephen Lawrence campaign, de Banya went on to take a leading role at the 1990 Trust black think tank. Afterwards he worked for Lewisham’s race equality council. When he was out of work, he once complained to me that there was no community fund to support unemployed former activists like him. I couldn’t help but agree, having also fallen on hard times. De Banya said in an interview with the Independent newspaper, headlined “Black rights hero may quit Britain”, in March 1998, he was disillusioned with a lack of campaign funding for anti-racist issues just after lining up what reads like an "A-list" of black British celebrities to support the fight to save the life of Daniel de-Gale. De Banya had pulled in such stars as singers Eternal and Scary Spice, footballer Ian Wright and newsreader Trevor McDonald to draw attention to the plight of Daniel de-Gale. Like most anti-racist activists, he worked for the campaign on a voluntary basis and could only make ends meet by depending on friends and relatives. Orin Lewis OBE, co-founder of the African Caribbean Leukaemia Trust (ACLT), said: "On behalf of Beverley De-Gale, myself and everyone ever associated with the ACLT, I would like to convey our condolences and deepest sympathy to Simon's family and close friends. Simon was a tower of strength for Beverley and me when we needed help and guidance in promoting our son's (Daniel De-Gale) fight against Leukaemia and his need for a matching bone marrow donor. He was a good friend and helped catapult Daniel's campaign into the mainstream media. Thank you Simon, we will never forget you." De Banya said he did not earn a penny for his campaigning efforts and consideried moving to the USA. He told the Independent: "I am fully committed to campaigning work, but I cannot survive on thin air alone. In America there is a lot more money around for fighting anti-racist struggles and, as I see that sort of activity as my future, I am seriously contemplating moving out there." 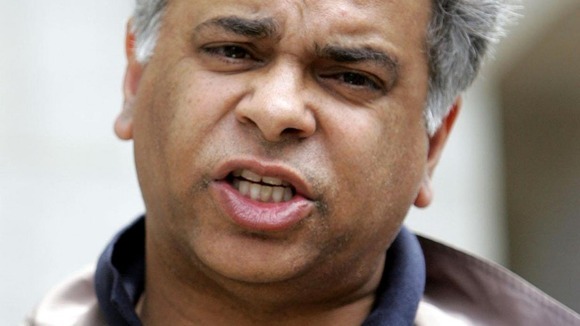 De Banya also helped to mastermind the media strategy of the Stephen Lawrence family and the search for the killers of Ronald Hinkson, a 32- year-old Black man stabbed to death in a north London wine bar. 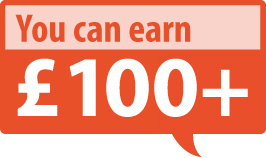 If he was a publicist in the private sector, de Banya could have earned more than £40,000 a year. Instead, he devoted his time to campaigns on behalf of Black families who would otherwise have struggled to get their voices heard. De Banya was one of a handful of people to successfully push the causes of Black families such as Stephen Lawrence and Daniel De-Gale in what many see as a traditionally unsympathetic mainstream media. Most of these campaigners, said de Banya, had a lot to contend with. He said: "Campaigners can sometimes lose their jobs if an employer is unsympathetic to what they're doing. Also, most people behind struggles become targets for intimidation by far-right groups, who start sending them hate mail and making nuisance calls." But the majority of campaigners remained undeterred, because they realised that the role they played was so important for other Black people. He told the Los Angeles Times in 1998 that on the surface, races seemed to mix more easily in Britain than across the Atlantic, but there were still racist barriers. De Banya, who lived for several years in New York, said: "In America, racism is overt. You know how to deal with it; you can be better prepared. Here it is very covert, but very institutionalised. The official line is that this is a multicultural country, but I think black people are more tolerated than they are integrated." De Banya's funeral was held at West Norwood, south west London, on January 21. 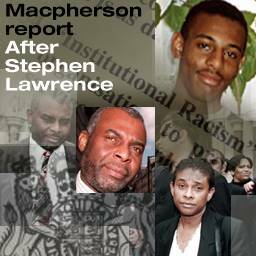 * Marc Wadsworth, founder of the Anti-Racist Alliance, help set up the Justice for Stephen Lawrence campaign with Doreen and Neville Lawrence in 1993.